Size: 46-56 cm (18-22 in). Weight: 450-525 g (15.89-18.53 ounces). 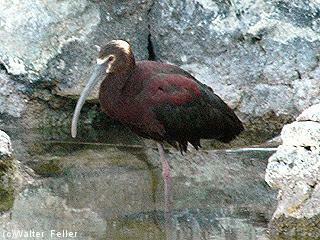 A dark wading bird with a long, down-curved bill. Breeds across western United States northward to Montana, eastward to western Louisiana, and southward to South America. Winters from southern California and Louisiana southward.